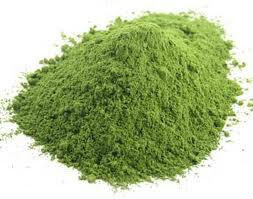 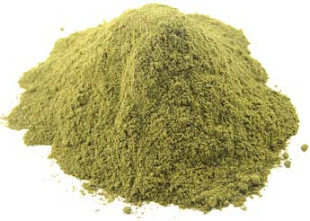 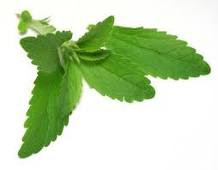 Stevia, a natural sweetener that serves as a non-calorie alternative to sugar, comes from the Stevia rebaudiana plant, which is native to Paraquay.Stevia is a popular sugar substitute for those counting calories and trying to lose weight. 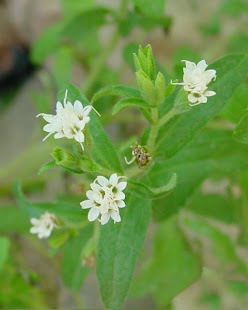 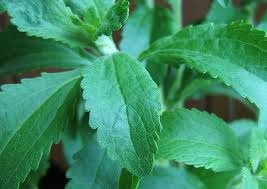 Stevia was used as a sweetener and herbal medicine by indigenous Indians for many centuries before Europeans "discovered" it. 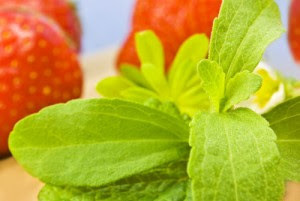 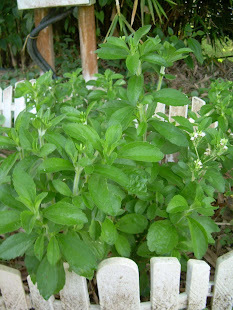 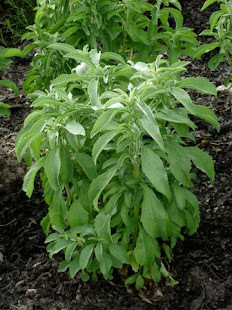 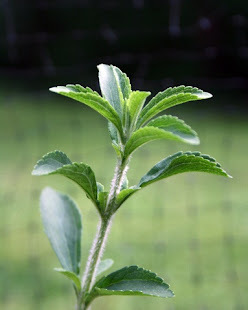 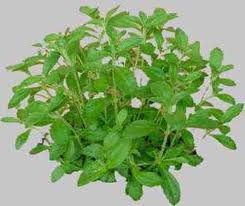 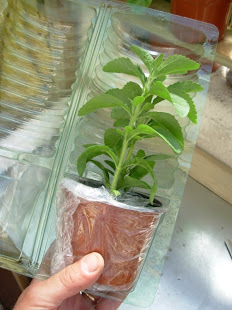 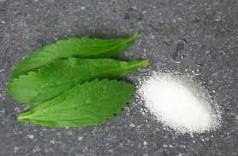 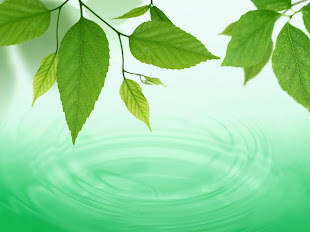 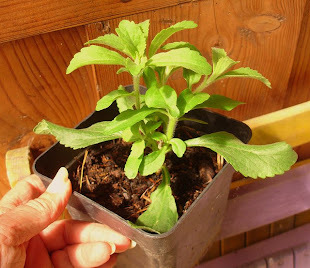 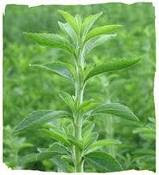 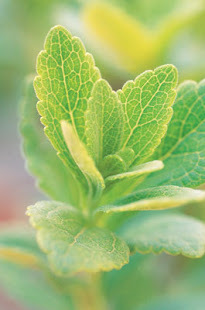 According to "Medical Herbalism," the leaves of some Stevia species are 30 to 45 times sweeter than table sugar. 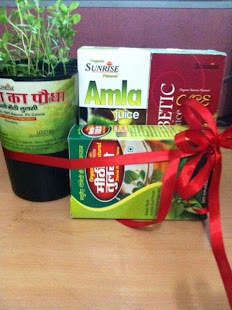 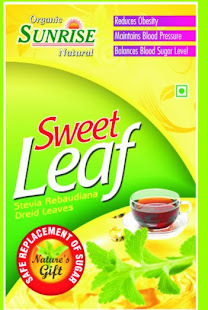 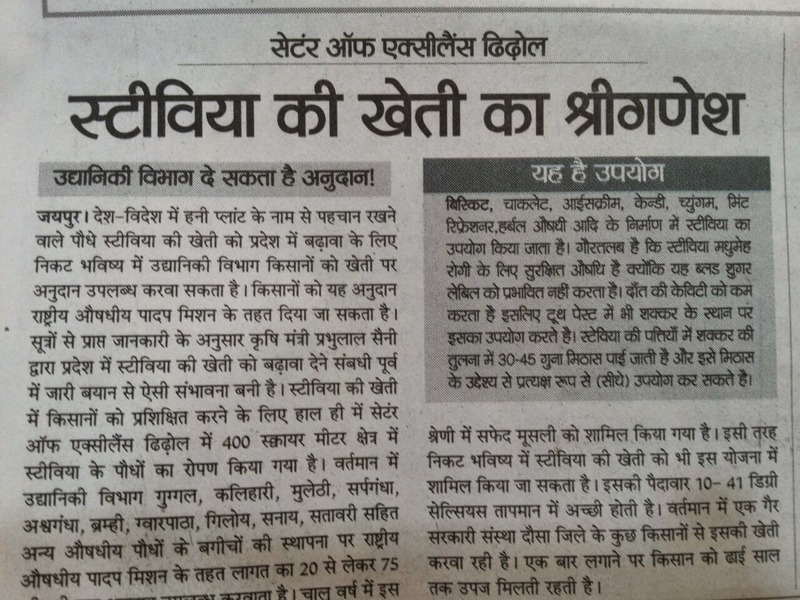 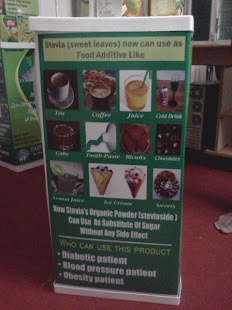 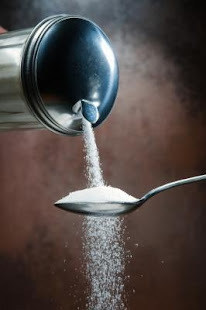 The sweetness of Stevia has threatened the sugar industry's dominance; politics may be a reason that its use is not more widespread.India is growing fast 2 b d diabetic capital of the world so everyone must use such products.Stevia is the world’s only all natural sweetener with zero calories, zero carbohydrates and a zero glycemic index. 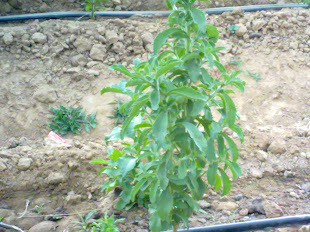 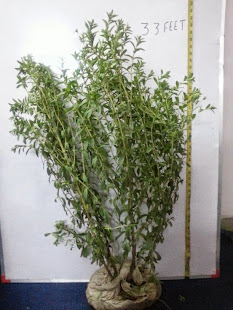 Harvested from a plant in the daisy family, stevia provides a truly delicious and healthy alternative to sugar or chemical sweeteners.Cultivation of stevia opens up new vistas for crop diversification and a viable alternative to sugar cane in view of escalating cost of production due to extensive usage of chemical fertilizers, pesticides and irrigation requirements of sugarcane. 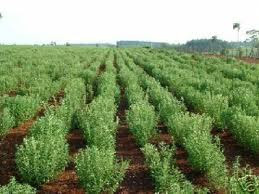 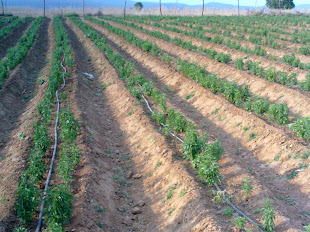 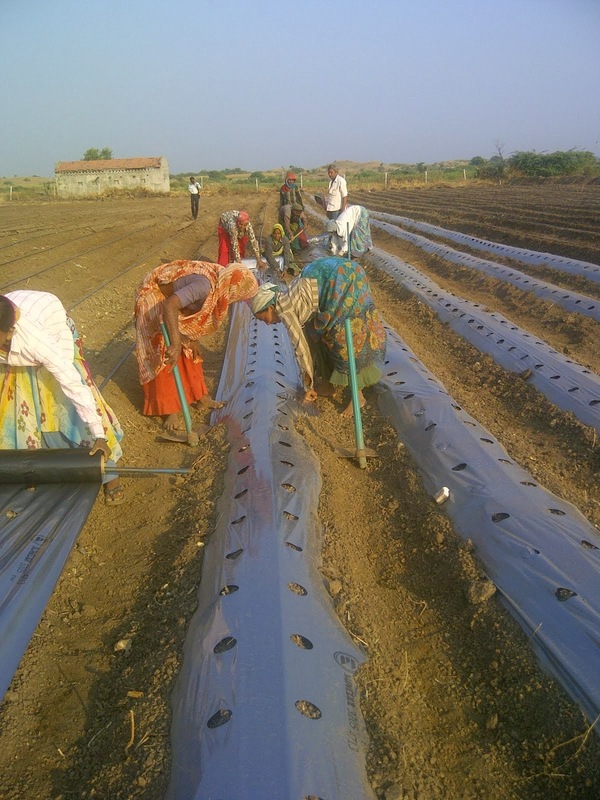 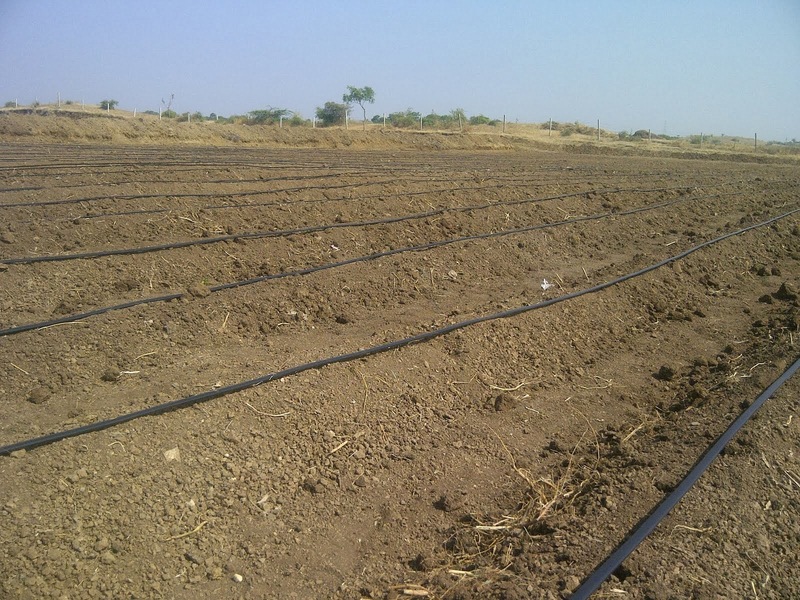 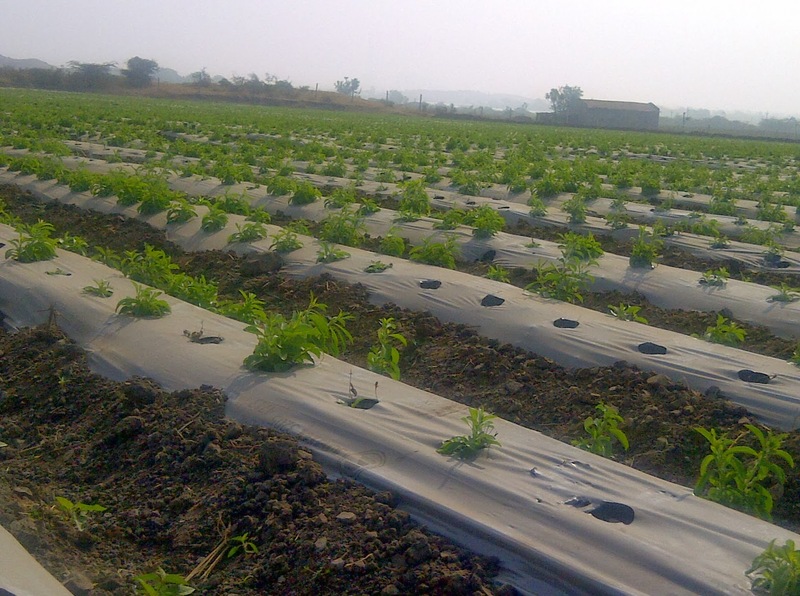 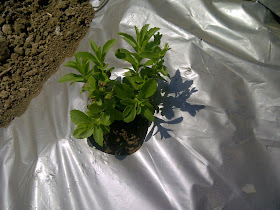 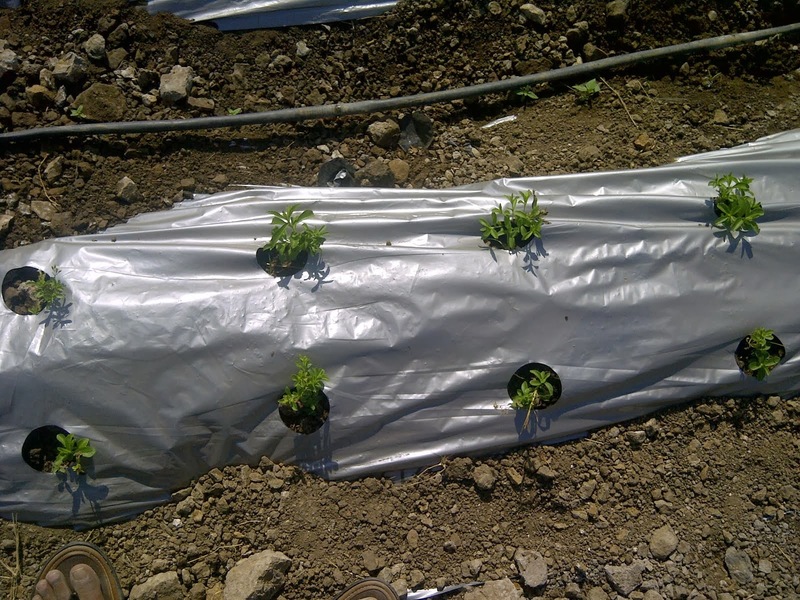 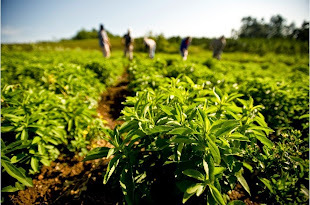 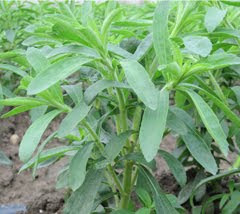 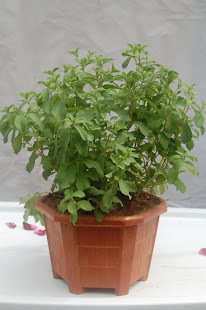 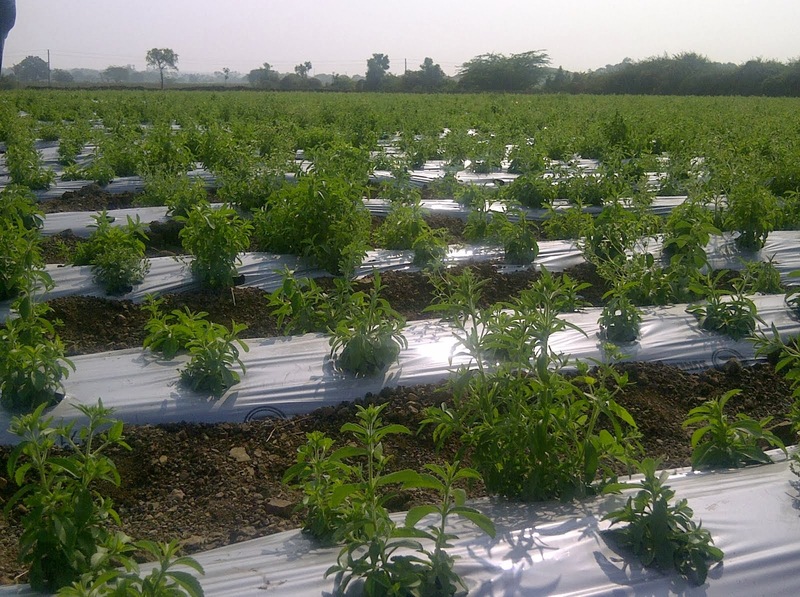 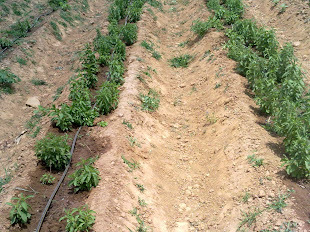 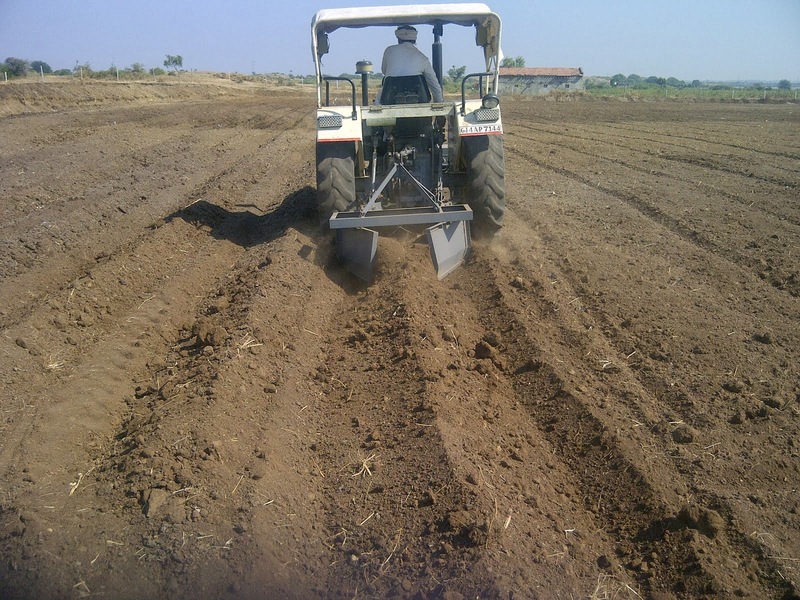 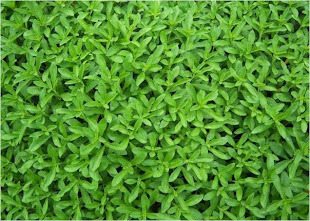 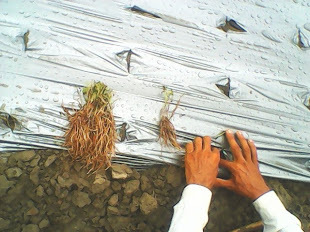 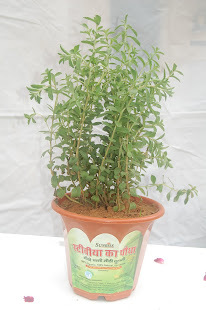 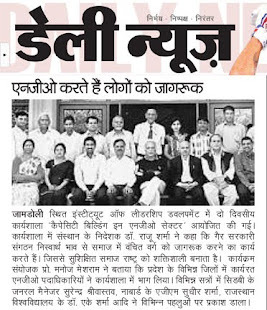 Cultivation of stevia may be useful in the protection of environment, restoration of the health of soil, and revitalize the rural economy while providing additional income through assured market. 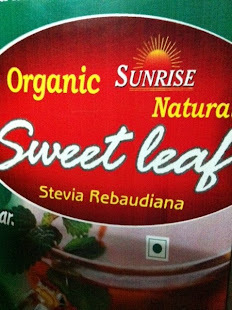 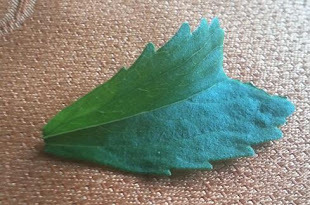 • Stevia leaves also contain protein, fibers, carbohydrates,phosphorus,iron,calcium,potassium, sodium, magnesium, rutin (flavonoid),iron ,zinc,vitamin c and vitamin A.